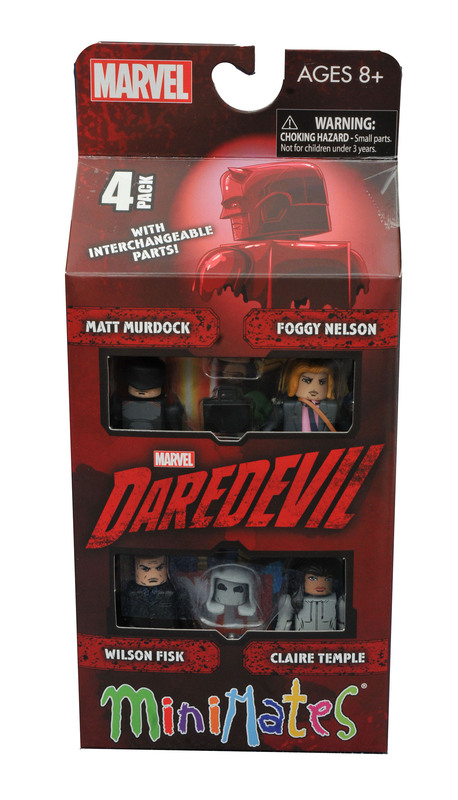 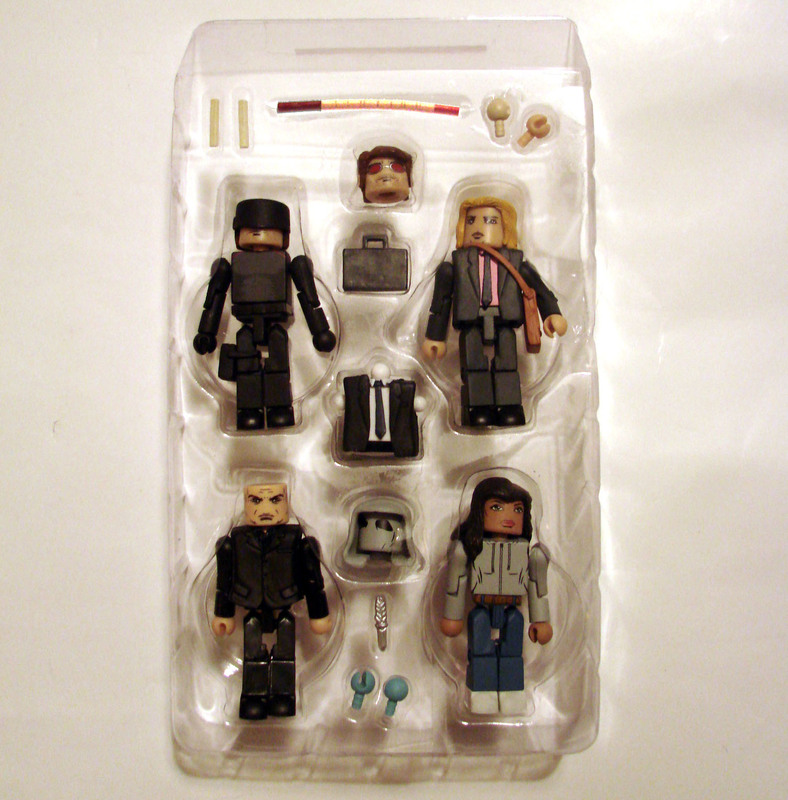 The four pack contains Matt Murdock in his all-black Daredevil outfit, Foggy Nelson, Wilson Fisk aka the Kingpin and Claire Temple aka Night Nurse. 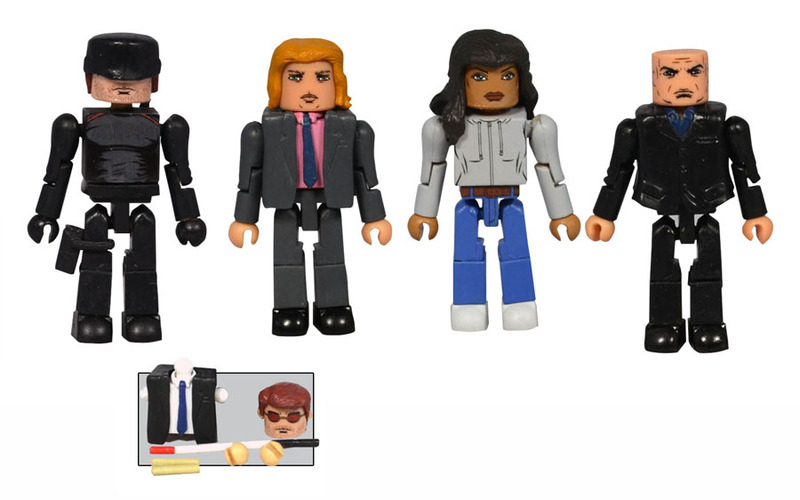 Definitely love the alternate head for Claire Temple aka Night Nurse. 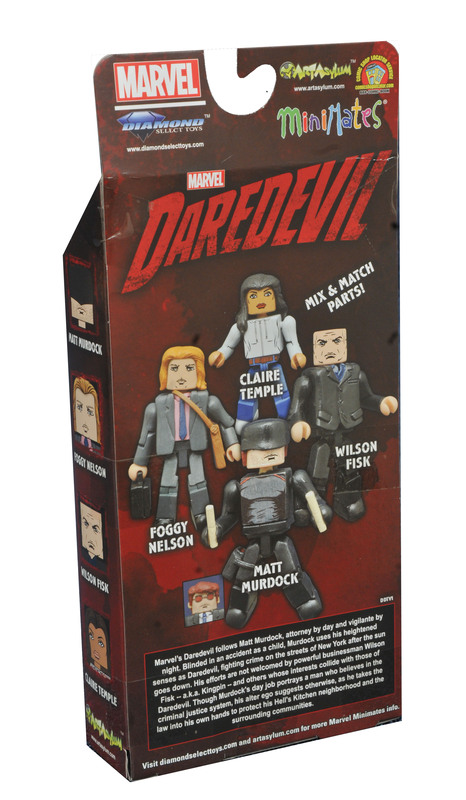 Plus the Netflix Daredevil season 1 minimates will whet your apettite for more Daredevil minimates; particularly for season 2 figures.